modern decor -- which features comfy couches and lots of floor to ceiling windows. 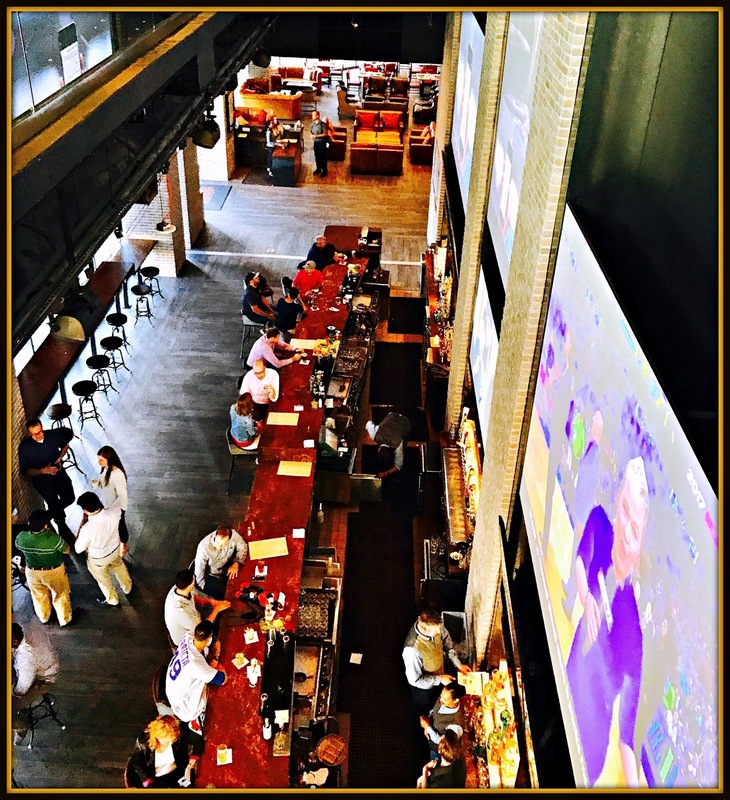 Biggio's provides plenty of space for sports fans to congregate and enjoy pre- or post-game cocktails and bites. There are tons of HUGE big-screen televisions on the walls that show a variety of sports channels and games. The first thing we noticed as we walked into the restaurant's dining area was the baseball bat-themed decor of the downstairs bar -- very clever! The baseball-centric decor was evident throughout Biggio's Sports Bar. 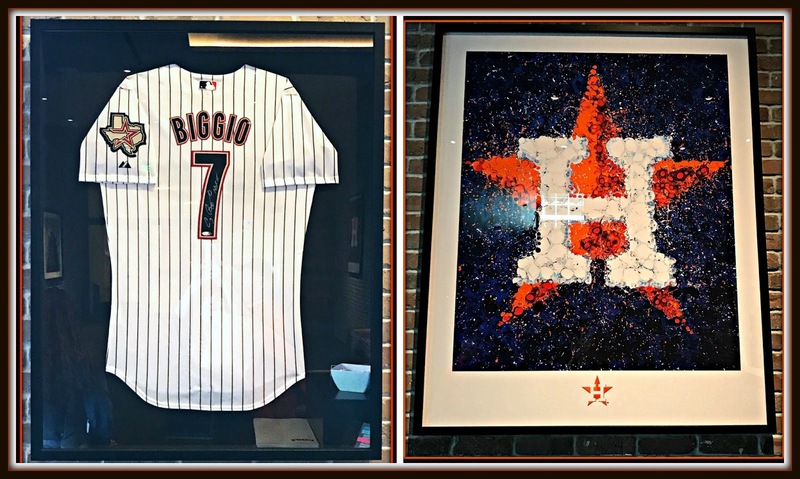 Being long-time Houston Astros fans, we especially enjoyed seeing the Astros and Craig Biggio decor and memorabilia in the restaurant -- including an authentic Biggio #7 jersey in the reception area and a really cool Astros logo lithograph on the wall. 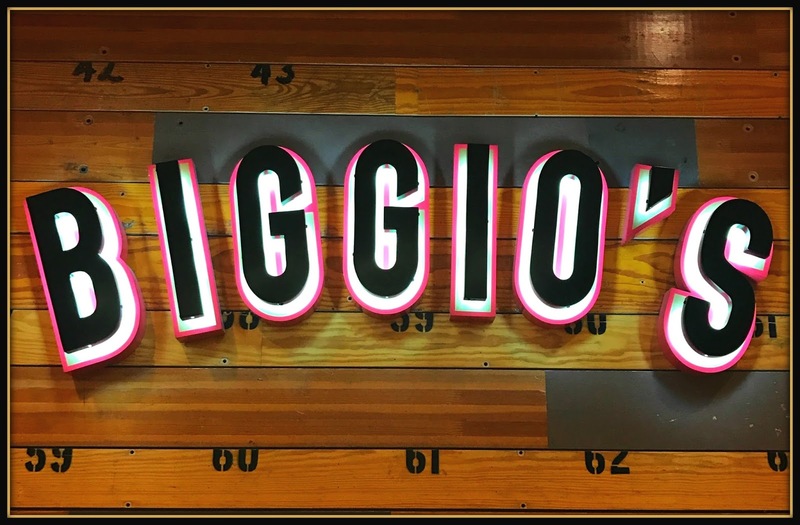 We hadn't taken a single bite of food, and we were already loving Biggio's Sports Bar! We sat down and looked over the menu...it was really hard to pick from the amazing items on the menu! We started out with a cocktail from Biggio's expansive drink menu: The Galveston Breeze. This breezy island-inspired cocktail includes tequila, coconut, aperol, lime, and pineapple. The flavor reminded me a bit of a combination of a pina colada and a margarita...it was perfect on a warm early evening. Prefer beer? No problem! Biggio's has plenty of beer on tap -- including several local labels. We paired our cocktail with a trio of entrees that we shared: Chicken and Waffles, House Smoked Brisket Street Tacos, and the B G O Sandwich. 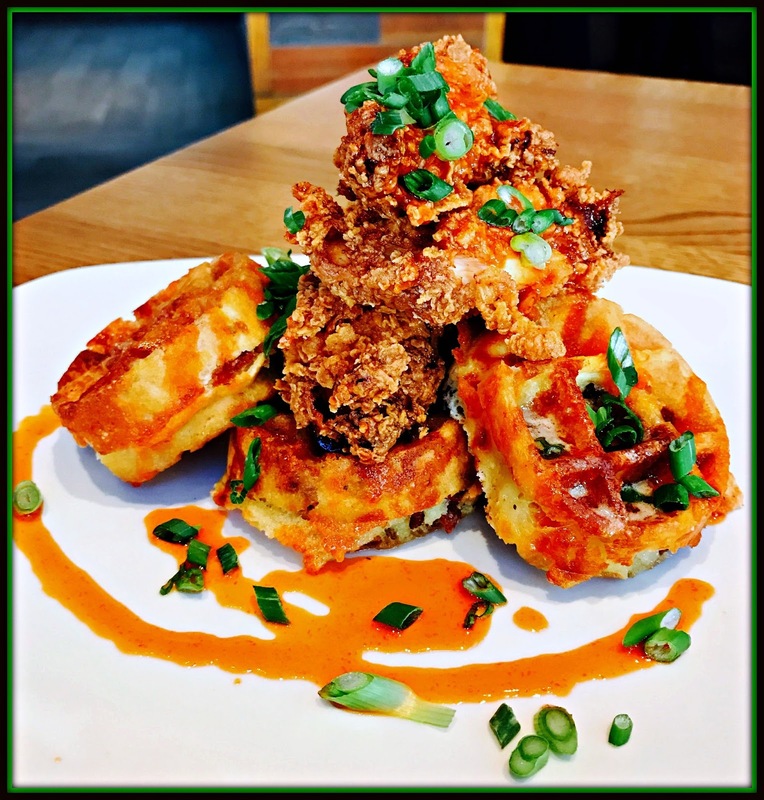 The Chicken and Waffles were AMAZING...featuring crispy fried chicken tenders, bacon-infused mini waffles, and a fabulous honey-maple sriracha drizzle. This dish was the perfect combination of savory, sweet, and spicy -- a definite must-try menu item for any visit to Biggio's. Our meal was off to a great start...and the hits just kept coming. The brisket street tacos featured smoky brisket, pickled onions, and sliced jalapenos served on corn tortillas. We loved how the tart acidity of the onions cut through the smoke of the brisket! The B G O Sandwich is a Biggio Family recipe. This is hands down the best sandwich I've eaten anywhere this year! 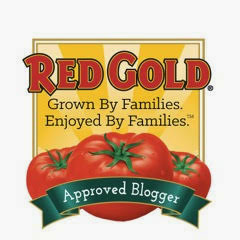 The BGO is perfect for sharing. It comes with two filet mignon sandwiches with herb garlic aioli and fried onion straws on an English muffin. 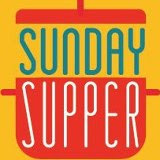 The BGO is served with BBQ potato chips and a creamy house-made onion dip on the side. So good! The tender beef, crispy fried onions, and creamy sauce combine for one amazing bit. The menu at Biggio's is definitely a cut above typical sports bar food...right down to the dessert. 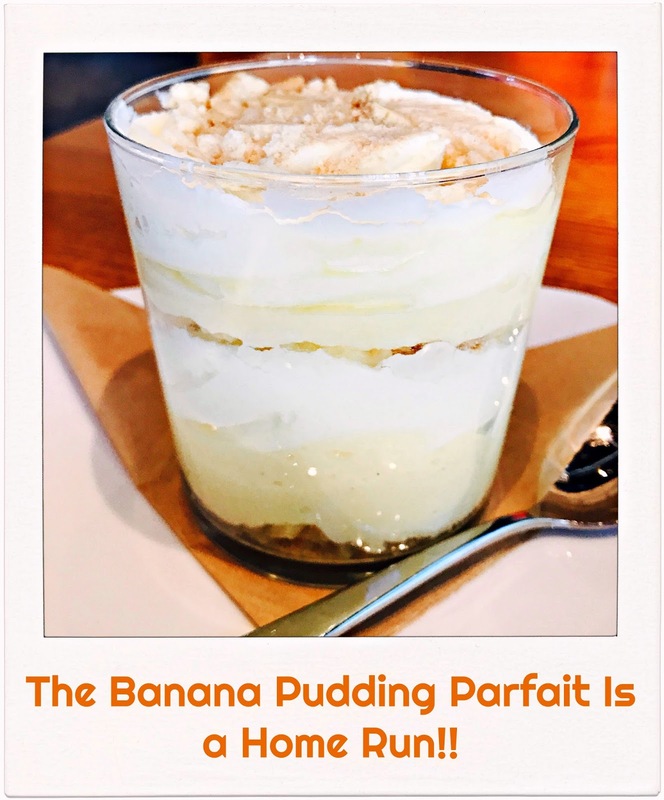 We couldn't resist trying the signature Banana Pudding Parfait, which elevates this classic Southern dessert. The parfait contains layers of banana-infused pudding, lightly sweet whipped cream, and crumbled vanilla wafer cookies. The flavor and the presentation were both spot on. The perfect ending to a really great meal. After we finished our meal, we walked upstairs to Biggio's second floor. The upper level overlooks the activity on the ground floor below and features large and small private dining areas. 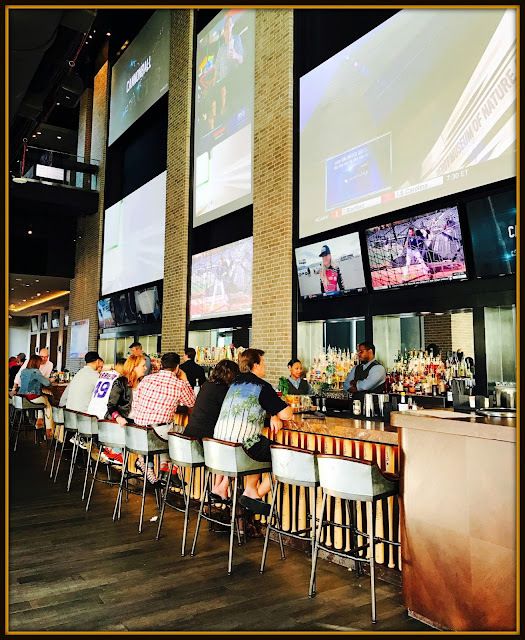 It also has a large section that contains several rows of black leather recliners where patrons can enjoy their food and beverages while they watch their favorite sporting events. 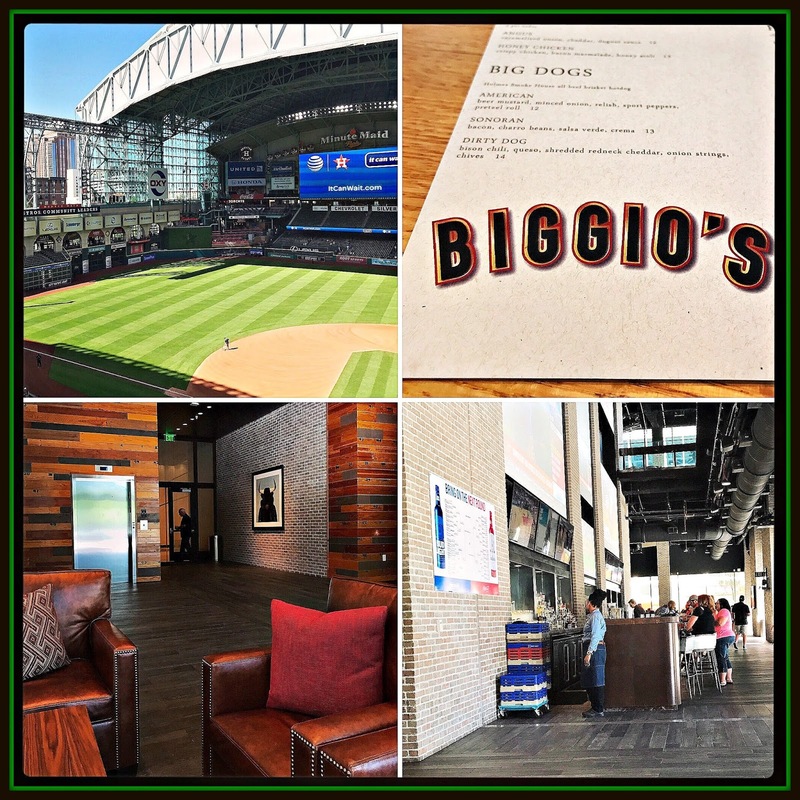 Whether you're visiting Houston for a weekend getaway...or you live in the area and are looking for something to eat before or after an Astros game...Biggio's is a great choice. 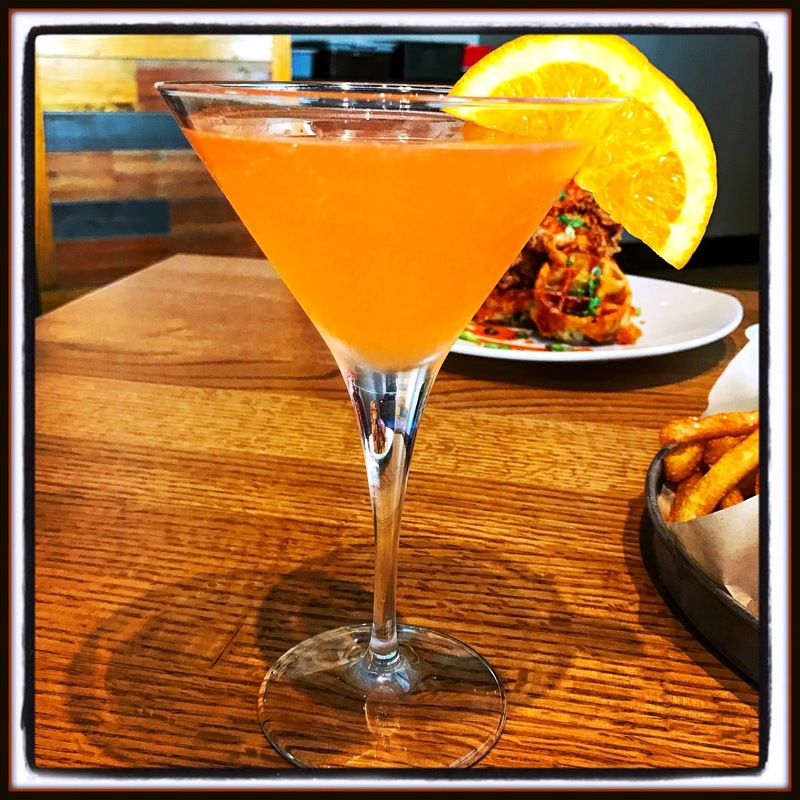 Its proximity to Minute Maid Park can't be beat, and the food and cocktails are delicious. Bottom line? Biggio's is a winner of a sports bar! Disclosure: The Marriott Marquis Houston hosted us for a dinner tasting at Biggio's Sports Bar to facilitate this feature. All opinions provided are solely my own. Go Astros!